We have 117 characters. Need more Game Content. What Piece of gear do you find the hardest to farm in the game!? Go Vote! Time for New Cantina/Arena/GW characters? Does Darth Maul need some Love? Does Darth Sidious Need a Potency Buff? 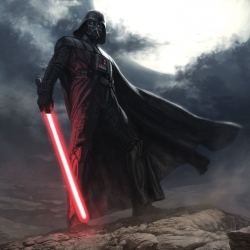 Who else is ready for Darth Vader to be more obtainable? Shipment List Items Info? Trying to find. Question on the Agility Challenge.